On September 17, 1851 the historic Fort Laramie Treaty was signed between the United States and representatives of the Cheyenne, Sioux, Arapaho, Crow, Assiniboine, Mandan, Hidatsa, and Arikara Nations. Indeed, the United States acknowledged that all the land covered by the treaty was Indian territory. In the century that followed, over 500 treaties made with Native Nations were also broken—which has degraded the lives of Indigenous peoples and the health of Mother Earth. 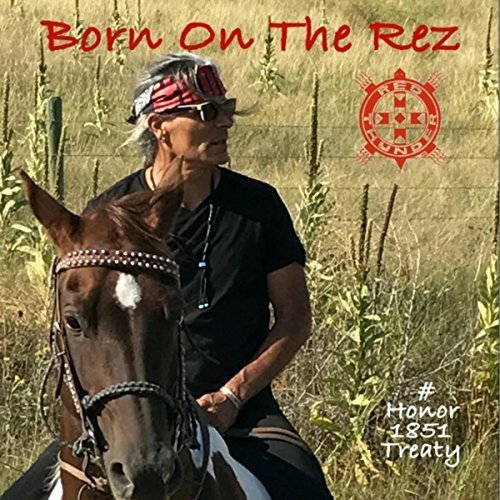 With honor and tribute to more than 370 million Indigenous Peoples living in seven regions of the world, Eagle Thunder Records presents the 25th Anniversary of Robby Romero’s groundbreaking and critically acclaimed EP RED THUNDER — spotlighting the new track, BORN ON THE REZ produced by DON WAS, feat. Ojibwa Warrior Dennis Banks and Country Outlaw Kris Kristofferson. Native Rock Music, eco-friendly T-shirts, handmade jewelry, hand-crafted drums and rattles, silk scarves, bandanas, books, posters, patches, acoustic solo performances, and one-of-a-kind autographed collectibles by award-winning artists. For more than 500 years Indigenous Children around the world have been shattered by oppression and deculturalization. Today, our children remain at risk and suffer the highest rates of illness, suicide, poverty, isolation, and despair. The time of shame, fear, and suffering is over. Let the healing begin. The Native Children's Survival Indigenous Children's Fund (NCSICF) is committed to eradicating the life threatening conditions Indigenous children endure each and every day. These conditions include poverty and inadequate access to food security, clean water, healthcare, education, and opportunity as stated in the specific focus areas in the United Nations Report, “The State of the World’s Indigenous Peoples Vol. II." Artist-owned and operated independent Indigenous film, music, and production company. Critically acclaimed and award-winning music and film releases, concerts, festivals, and events. Global distribution of eco-friendly products and merchandise. We've curated a collection of Native literature—to help fill in the blanks of American his-story.